It's been a rough few days. My family's dog Zen was killed by a car on Wednesday. The amount of heartache I have felt makes me want to go back to all my friends and family that have lost dogs and tell them I understand so much more now, and I want to tell them I'm sorry all over again. We had pets all growing up so I felt like I was familiar with the pain of losing one. And I can't say I always handled it the best (don't ask my sisters about the guinea pig), but a dog is just...different. I also haven't had a pet I was really close to pass away since I was a kid. Maybe it hits harder as an adult. I know everyone says it about their dog, but Zen really was the best dog ever. He was very obedient, never jumped on people, never destroyed things (except for that one time when light was shining on the couch, but humans have a bit of blame there.) He wasn't an obnoxious barker, he wasn't overly needy. He wanted to be near you, but would just lay nearby. 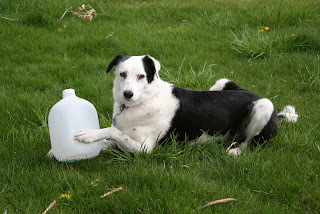 He was obsessed with chewing on plastic bottles and loved to play tug, chase bubbles and try and catch the grass shooting out from the lawn mower. He got scared by loud noises or people fighting and he would try and climb up into your lap, even though he was really too big. The back of the couch was his favorite place to be, keeping an eye on the neighborhood and letting you know if any of his friends were wandering nearby. I left work on Wednesday after getting the call from my sister and I'm glad I did. I was able to sit on the grass next to Zen and stoke his still warm body and say goodbye. I helped lay him to rest in between the apple trees in my parents back yard. I know time heals and already I start to feel better. And then I drive by someone with their dog and the tears start again. You were loved and adored Zen and will be greatly missed. I take comfort that you don't have to suffer from heart and eye problems anymore. But I'm selfish and I want you back. I told Will today that he needed to let me know what he wanted for Christmas soon. He said, the only thing I really want is Zen back. Me too bud, me too. 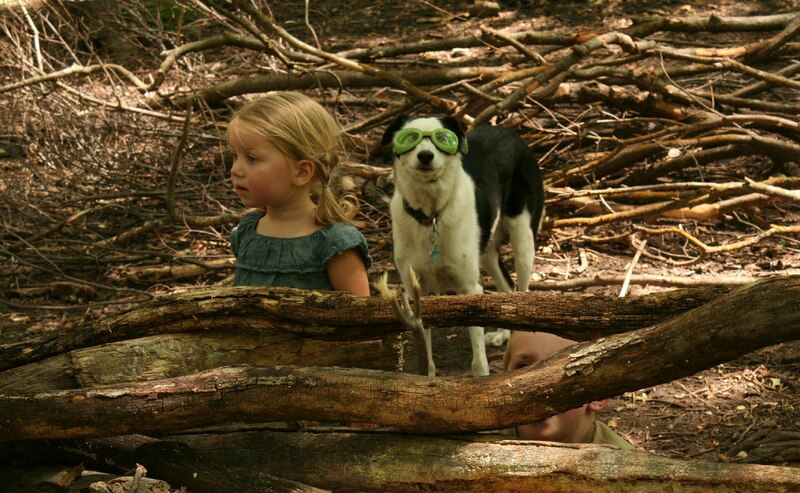 And whenever I'm feeling sad, I'll remember him in his doggles. An excellent tribute Kari; hope You, Will & Family continue to take solace during this Thanksgiving, for having had Zen in your lives. So sorry, Kari. It's every bit as painful to lose a dog as it is someone close to you, though the pain of losing Zen will dull much more quickly. 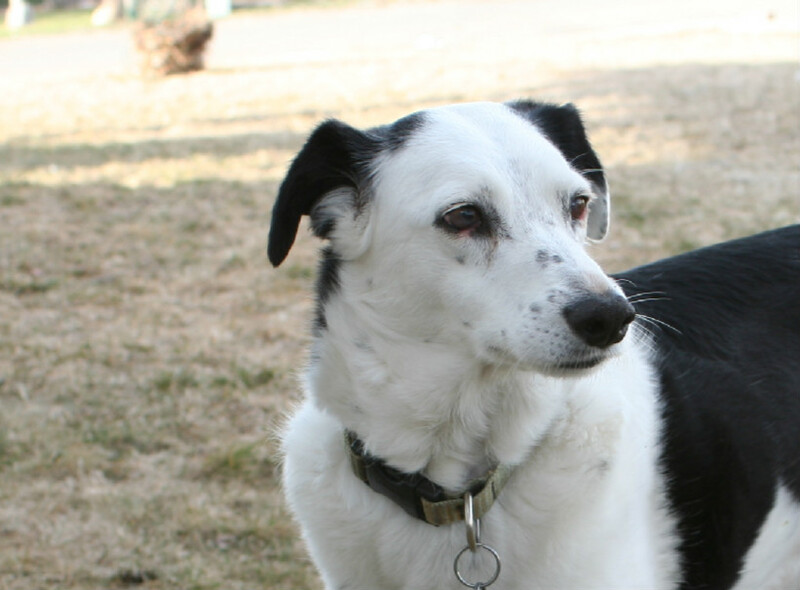 I still miss my Jake, but I'm glad he lived as long as he did, and now I just imagine him playing and running with all his dog friends in dog heaven. Anyway, what a nice tribute you've given your dog. I'm so sorry, Kari. He sounds and looks like he was such a special dog. Virtual hug to you. I've looked around for him and had to stop myself... I hope it gets easier because there were so many wonderful things about Zen. Really sad news, Kari. Hang in there and try to feel better, I know it's tough. R.I.P. Zen.